Bulldog quarterback Nick Durglo prepares to execute a play at Saturday’s Homecoming game. ST. IGNATIUS – The Bulldogs face a “tough conference” according to head coach Rich Ferris, but working hard has been the mantra for a team in their position. 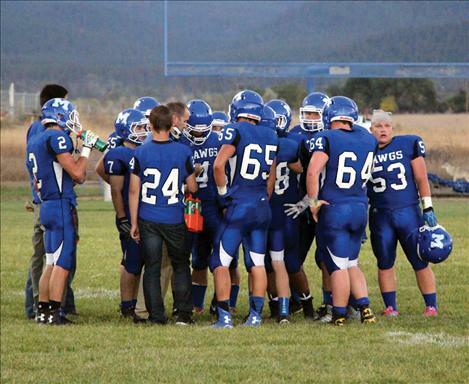 While 2-3 on the season the Bulldogs are flirting with big wins boasting nine seniors and an arsenal of younger guys stepping it up on the field. Senior Raymond Matt is confident his team is advancing in the right direction as planned and believes the Bulldogs have a bright future. Ferris is pleased with his seniors. 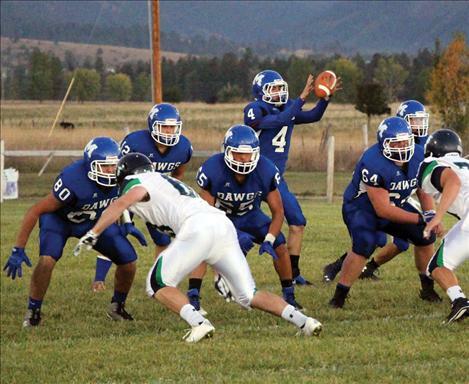 Due to Plains forfeiting on Friday, the Bulldogs played Glacier Wolfpack’s JV team for their Homecoming game on Saturday. 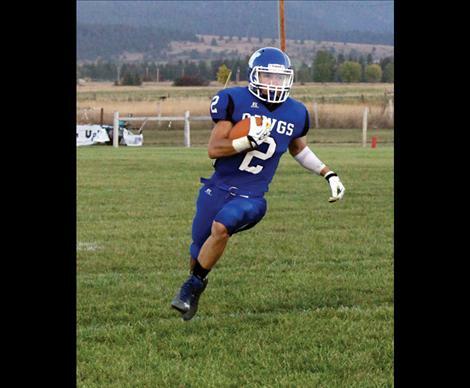 Despite the 6-41loss, the Bulldogs put up 119 rushing yards with Matt leading the way running 68 yards on 10 carries. Quarterback Nick Durglo was 7-16 for 42 yards. Defensively Emilio Bravo took down four, adding three assists. As the season progresses Ferris believes improvement is working its ways and is confident victory is on the horizon. 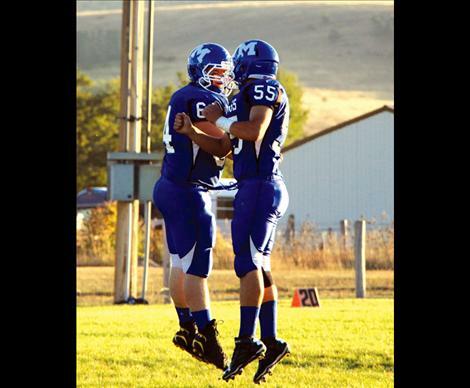 Mission will take their game to Deer Lodge Sept. 26 to take on the Wardens.